Original goods, souvenirs, and catalogues are available for sale. Catalogues can also be ordered through mail order. To order catalogues that have been sold out please cash by registered mail. Clearly write the name of the catalogue you wish to purchase, your address, your name, and include cash by registered mail for the items you wish to buy and postage and handling. 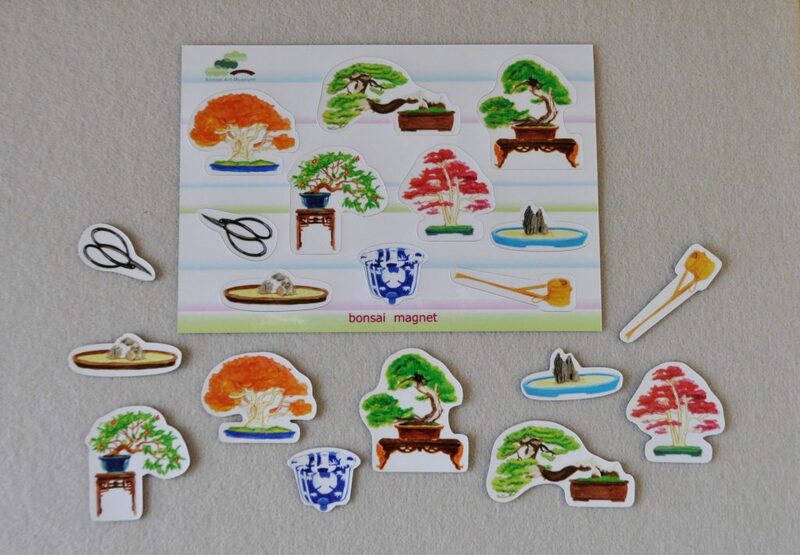 Send these to the Omiya Bonsai Art Museum. 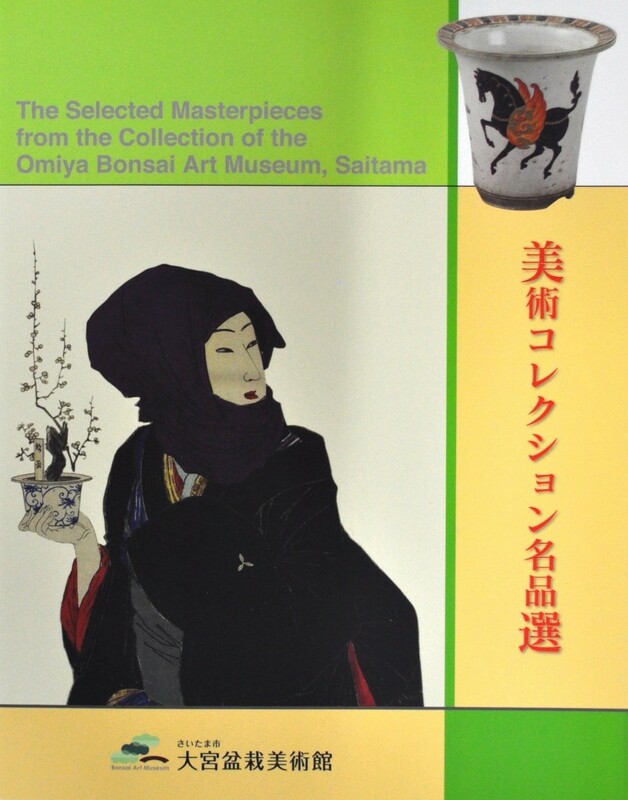 Postage and handling for more than two catalogues is different so please contact the museum by phone in the case that you will order more than 2. 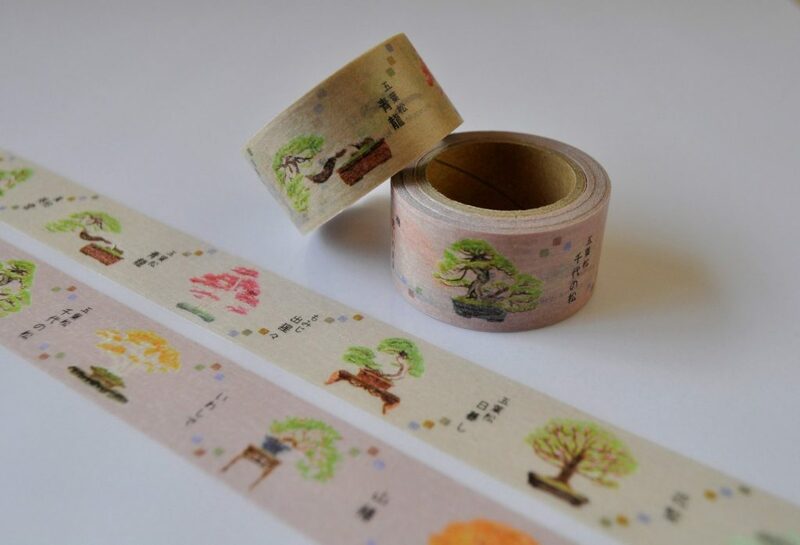 Masking tape with illustration of our bonsai collection. 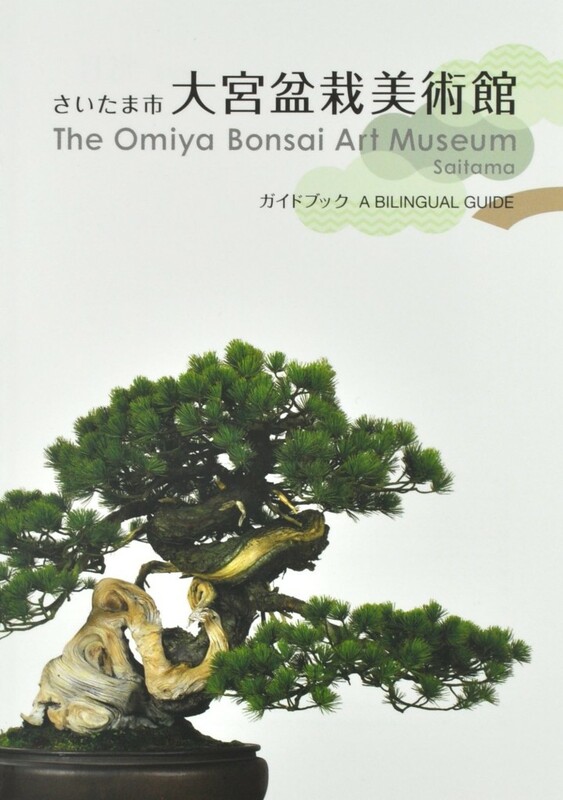 This Bonsai Art Book introduces the collection of the museum; bonsai, bonki and suiseki. Japanese / English Bilingual. 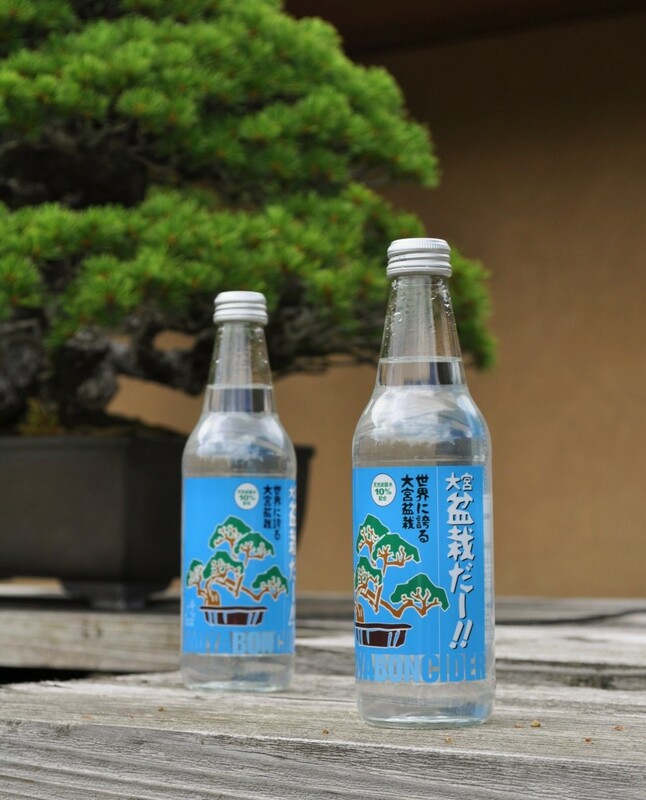 Article by Shuji Takashina. 96pages. 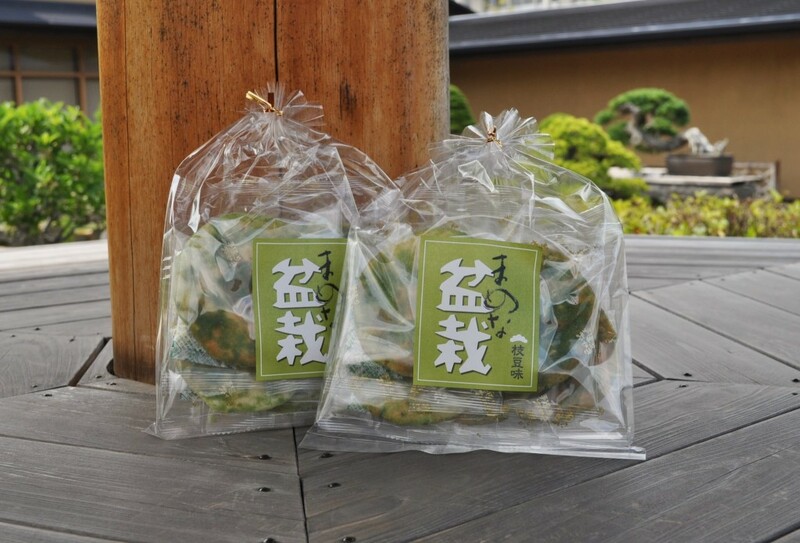 This locally produced rice cracker is a pair product of Omiya Bon-cider!! A great souvenir! 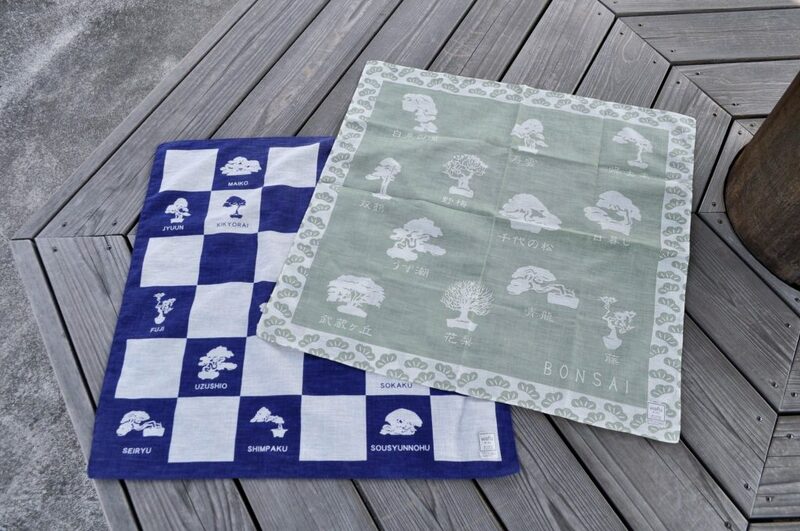 This all purpose towel is dyed with a picture of the popular bonsai, Seiryu. It makes a lovely interior decoration as well. 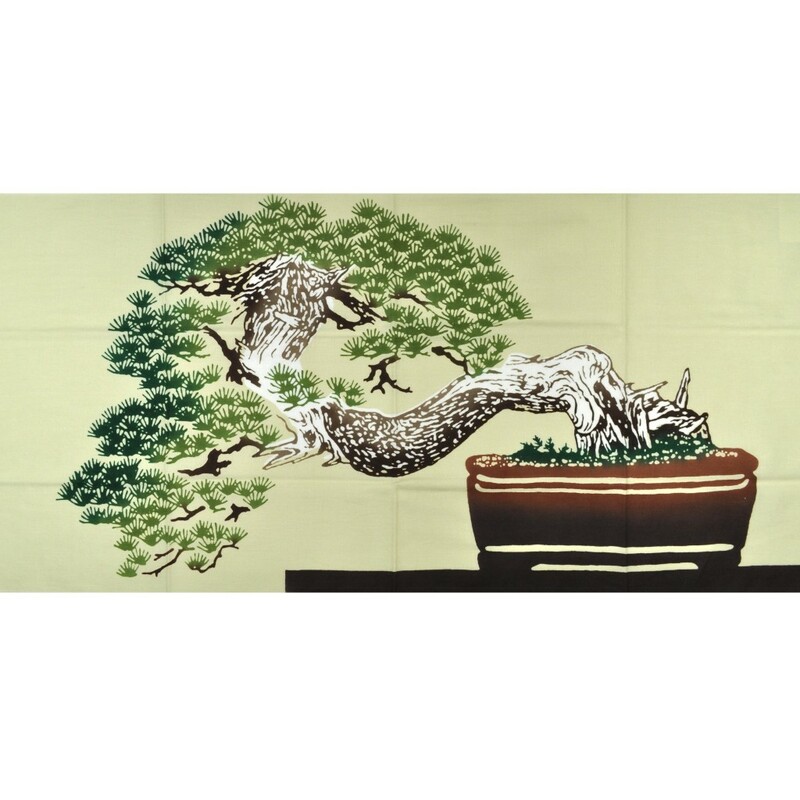 This all purpose towel is decorated with the museum’s most popular bonsai. 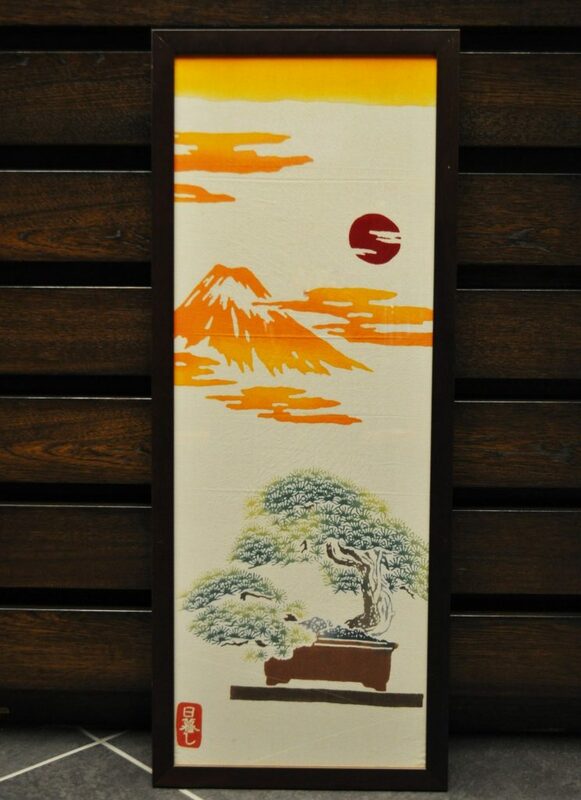 It makes a great gift for overseas souvenirs. 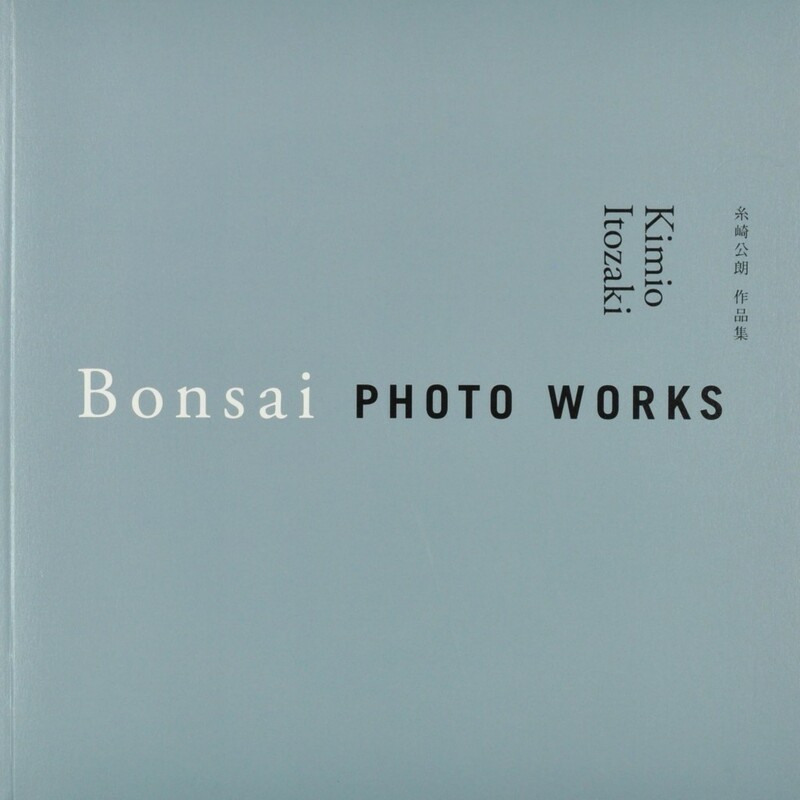 This is a 35 page photography collection of Kimio Isozaki’s bonsai photography. We are now accepting orders through our website. 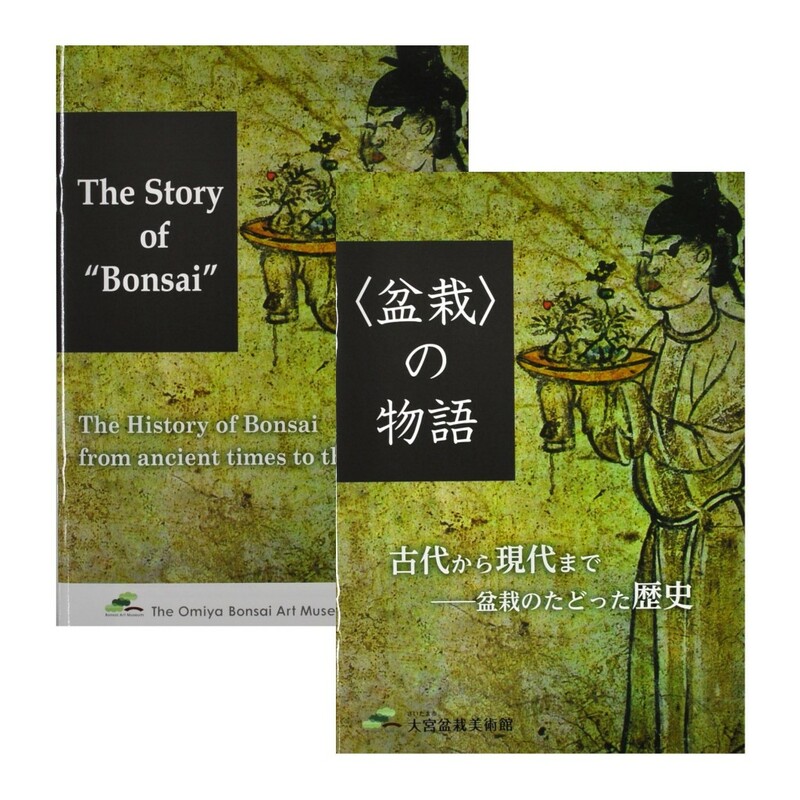 Exhibition Catalogue, The Story of Bonsai, the enlarged and revised edition. 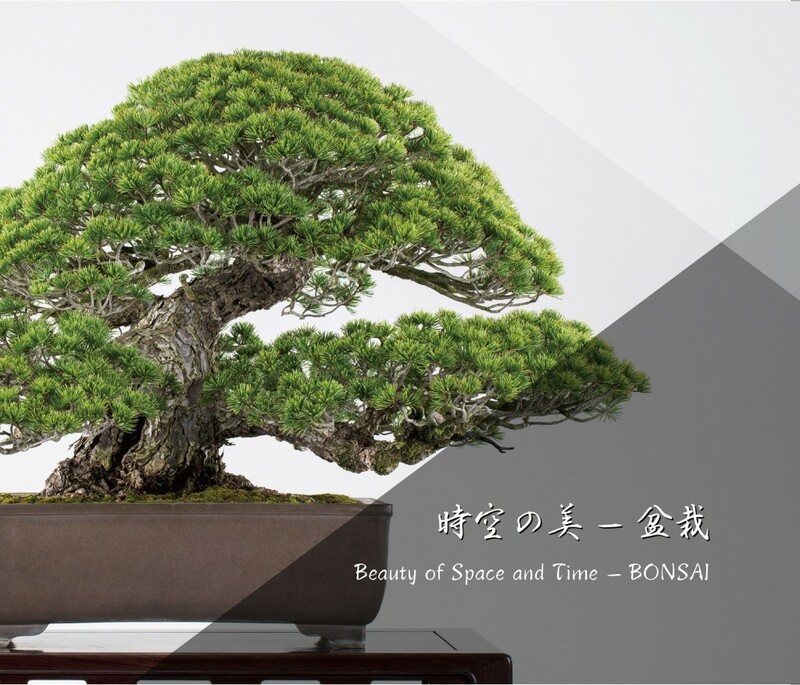 This booklet available in both English and Japanese covers the history of bonsai from ancient times to present in a compact 29 pages. The enlarged and revised edition in 2017. 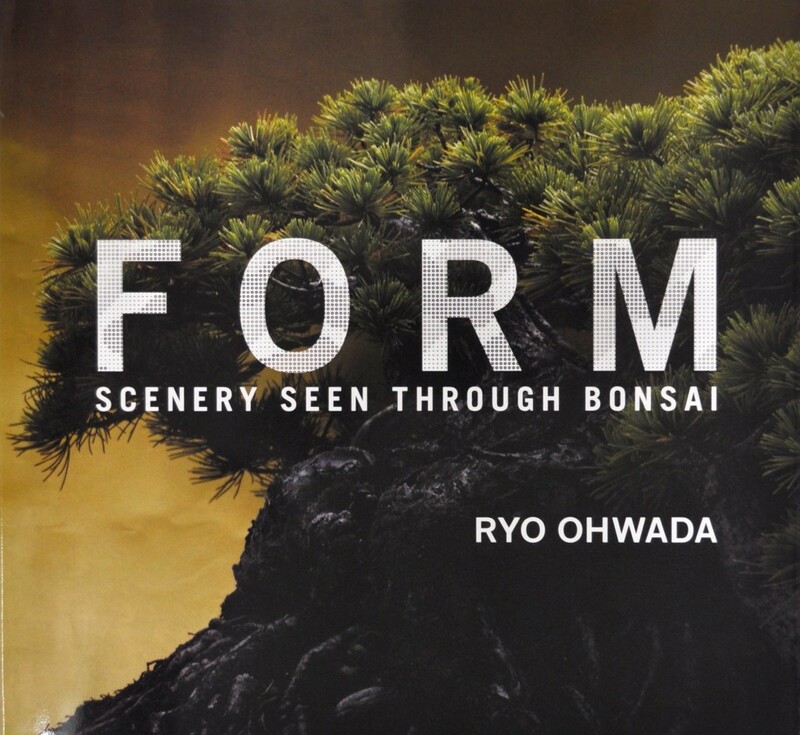 This photo book is the catalogue of Ryo Owada photo exhibition “FORM”. 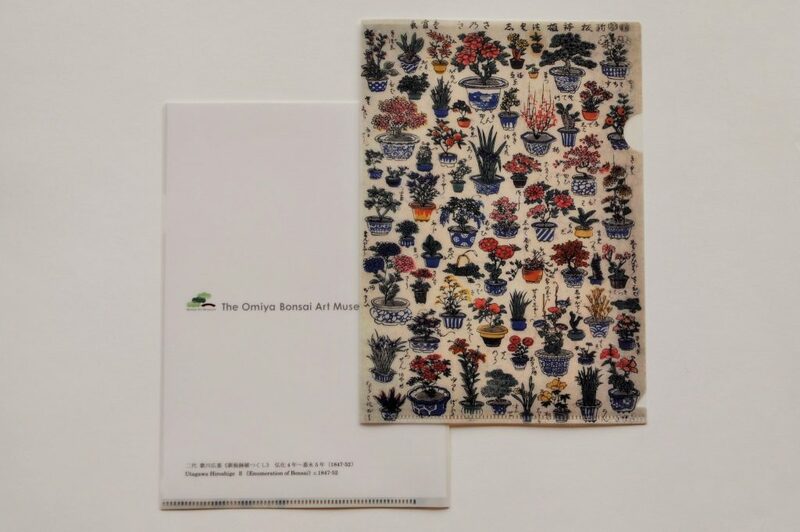 This post card displayed the famous bonsai which are possessed in the Omiya Bonsai Art Museum, Saitama. 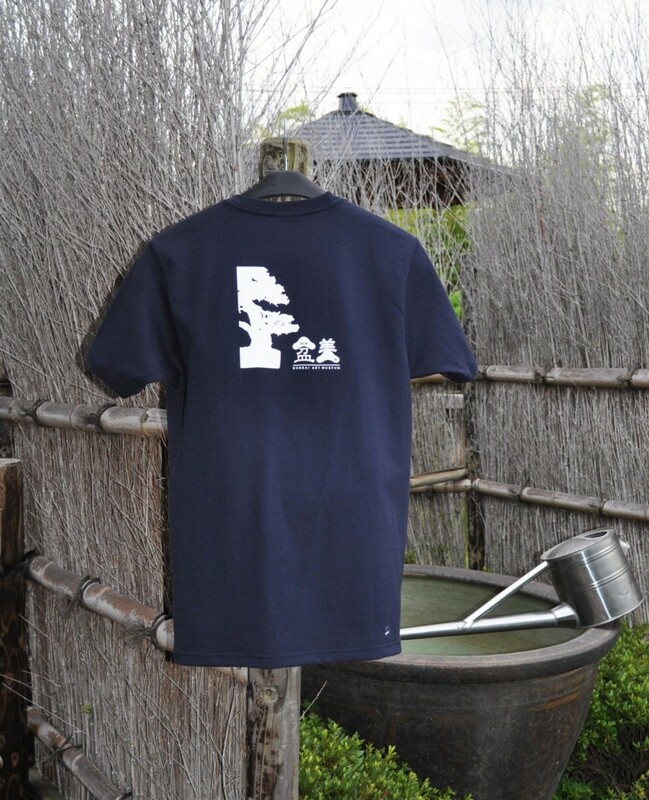 Navy T-Shirt with the silhouette of Yezo-matsu (Yezo Spruce) bonsai named “Todoroki” (Number:A-005). 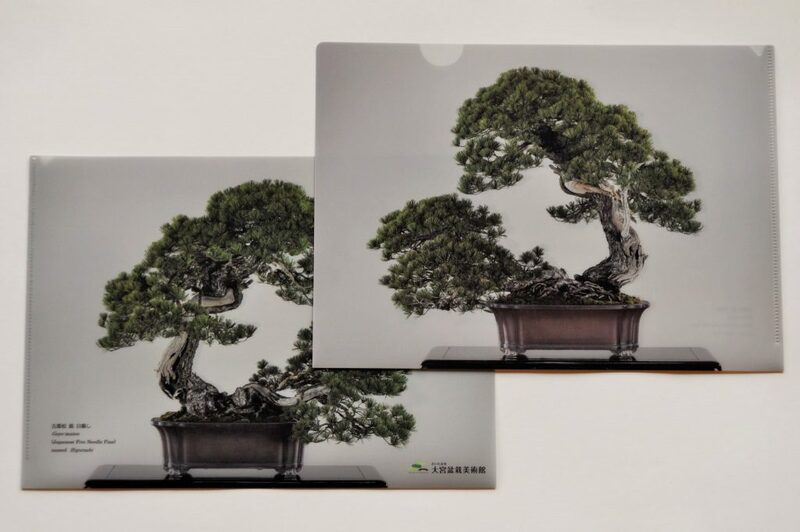 This A4 sized clear file bears a print of Higurashi, one of the museum’s most famous bonsai. 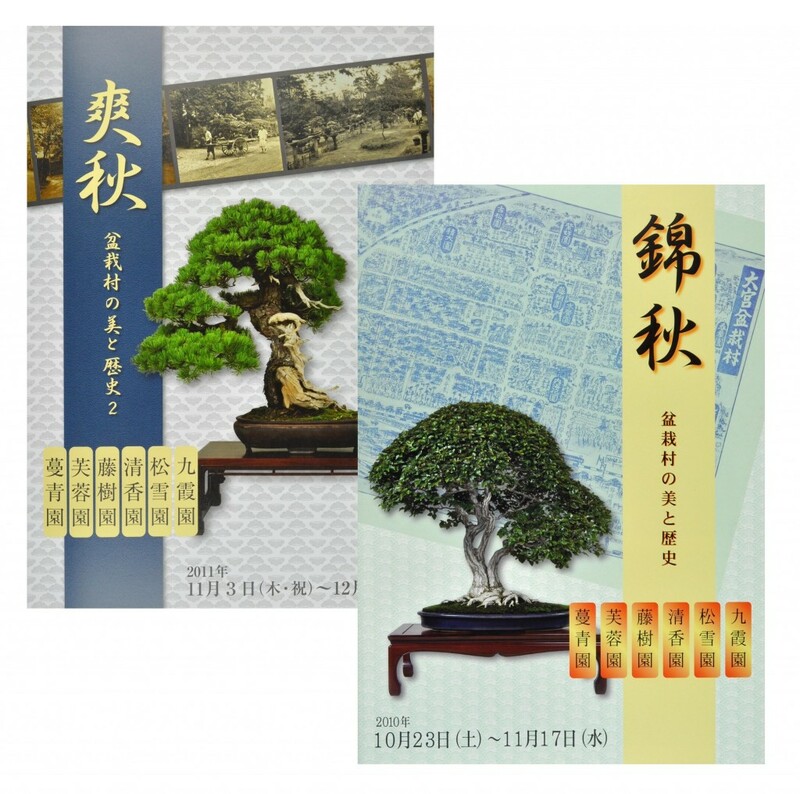 This photo-catalogue contains selected bonsai, works of art and the history of bonsai. We are currently accepting orders through out website. 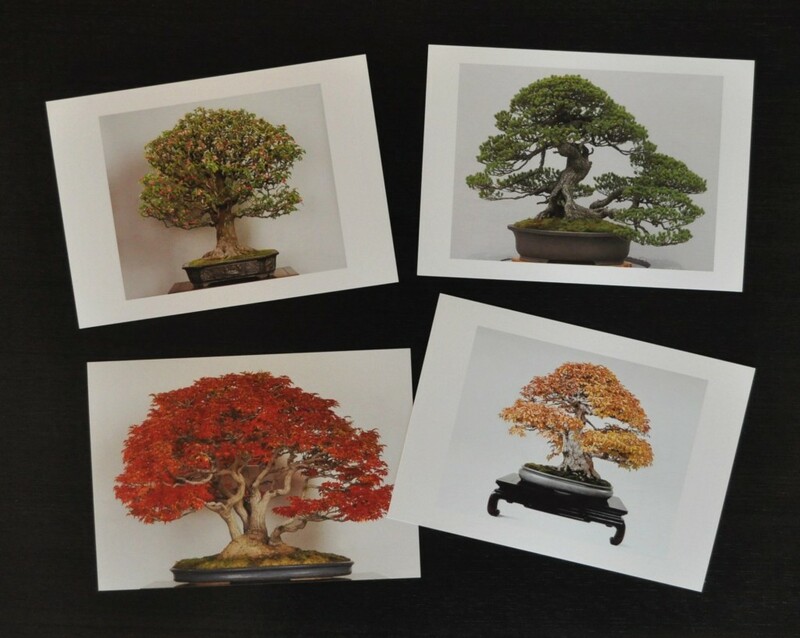 This photo journal is a lasting record of two fall themed exhibitions held at the museum covering the beauty and history of the Omiya Bonsai Village. We are now accepting orders through our website. 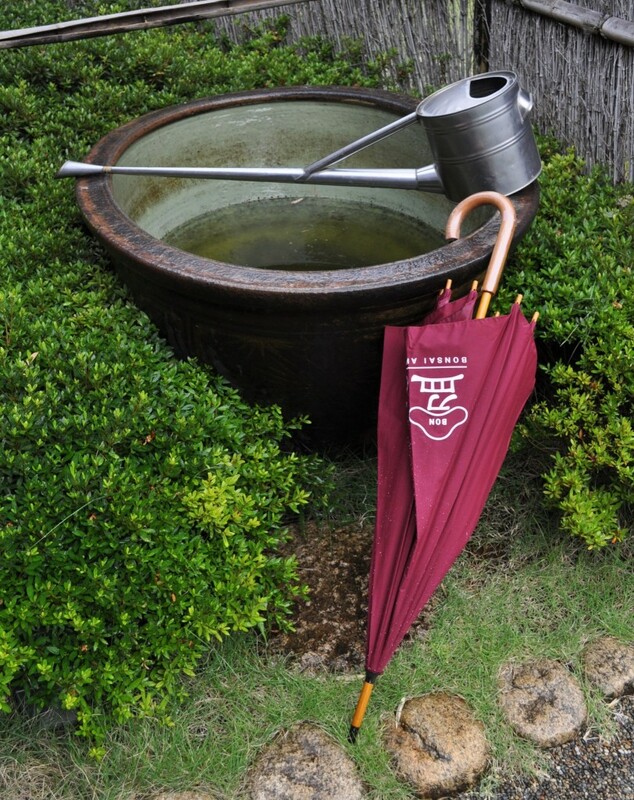 An umbrella bearing the logo of the museum. 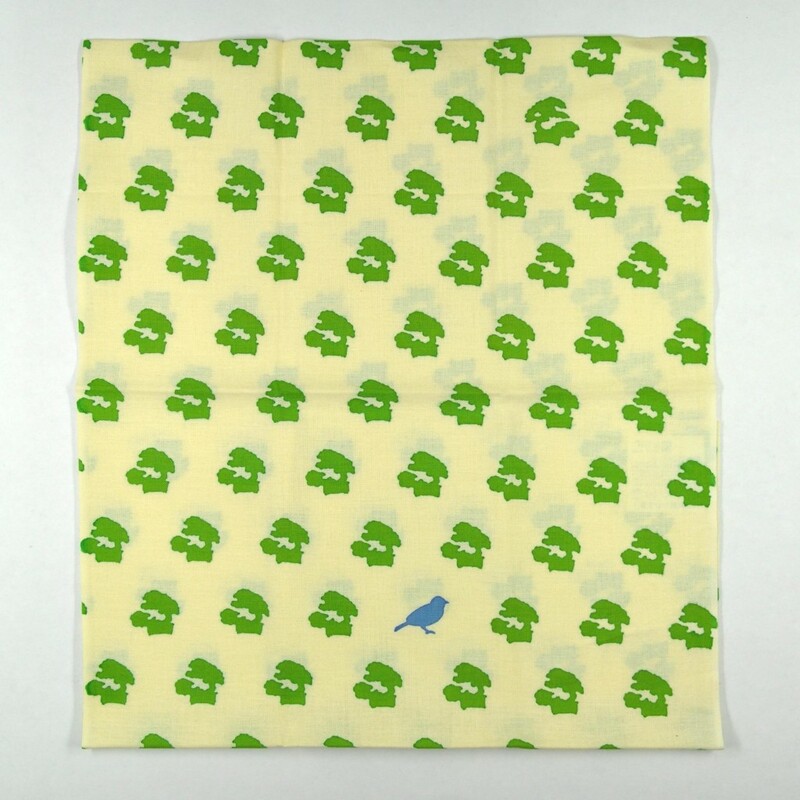 This handkerchief was made by the Kamawanu company for the museum. It’s large enough to wrap your lunchbox in. There are two kinds of design. 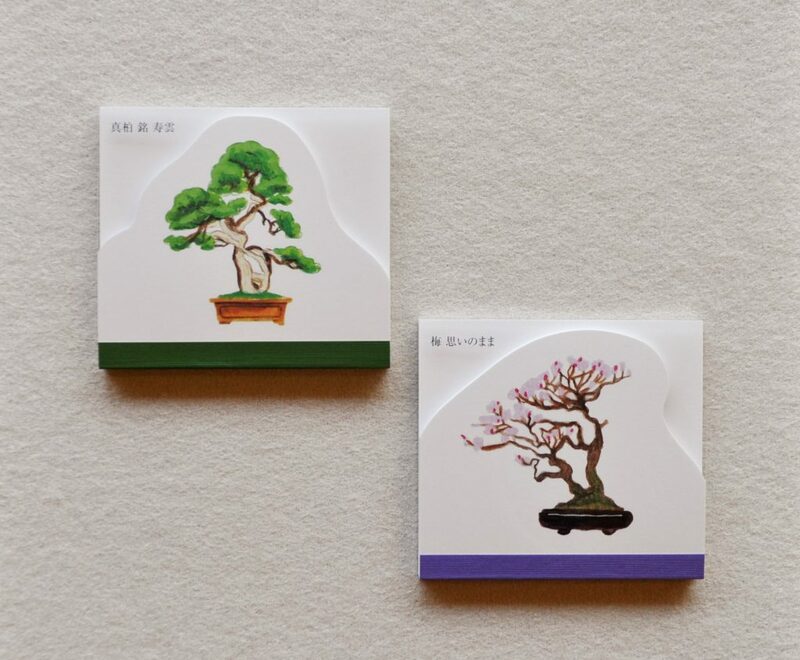 There are 5 designs to choose from, all well known bonsai owned by the museum: Seiryu (Japanese 5 needle pine), Kikyorai (red pine), Musashigaoka (Japanese maple), Iwashida, and Juun. 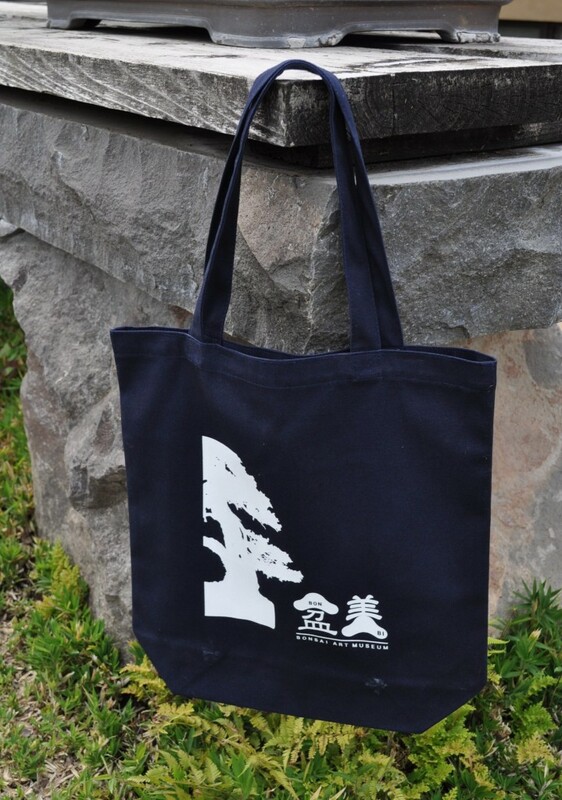 Navy colored tote bag with the silhouette of Yezo-matsu (Yezo Spruce) bonsai named “Todoroki” (Number:A-005). 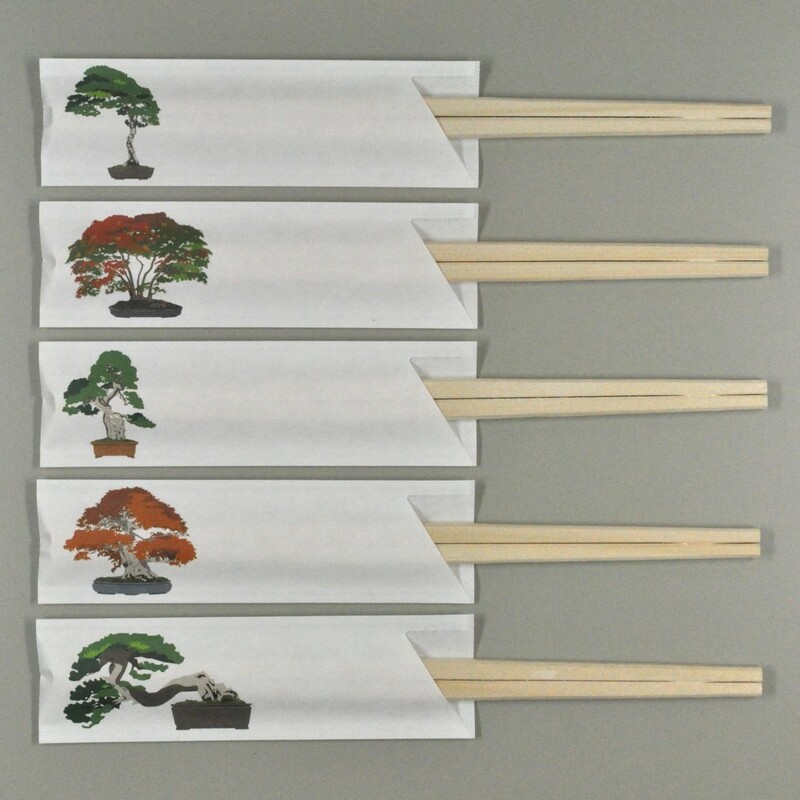 This small tote bag (35×36.5x11cm) can even be used to carry small bonsai.